At least 130 people have been killed and 1,500 injured in a strong earthquake in central Italy. Thousands more have been made homeless after the earthquake in the Abruzzo region, which occurred shortly after 3.30am (2.30am Irish time) this morning. The epicentre of the 6.2 magnitude earthquake was some 5km below L'Aquila, which is in the Apennine mountains, 100km northeast of Rome. The US Geological Survey recorded the tremor slightly higher at 6.3, but may have been using a different version of the scale. The town is devastated, and emergency workers are reporting severe damage within a 30km radius of the town. Many homes are reported to have collapsed as the tremor brought down many Renaissance era and Baroque buildings. Nearly all medieval monuments in L'Aquila have been damaged. The bell tower of the Basilica of San Bernardino collapsed and the church of Anime Sante in Piazza Duomo no longer has a dome. The cathedral in the town was not damaged. 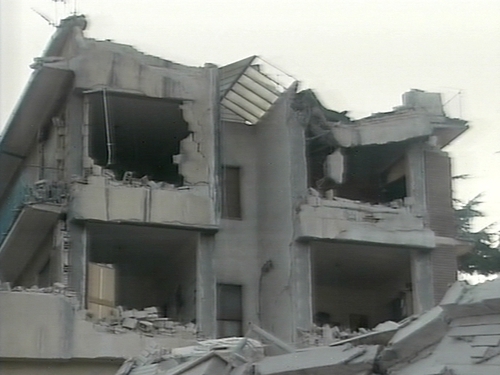 Thousands of L'Aquila's 68,000 residents remain in the streets fearing aftershocks after being startled awake by the quake in the early hours of the morning. Prime Minister Silvio Berlusconi has cancelled a planned visit to Russia and declared a state of emergency. Guido Bertolaso, head of Italy's public safety department, warned the toll would rise and rescue workers at the scene say up to 90 people may have been killed. 'It's an event that will mobilise the nation for many weeks,' said Interior Minister Roberto Maroni, adding that at least 10,000 homes or buildings were damaged. 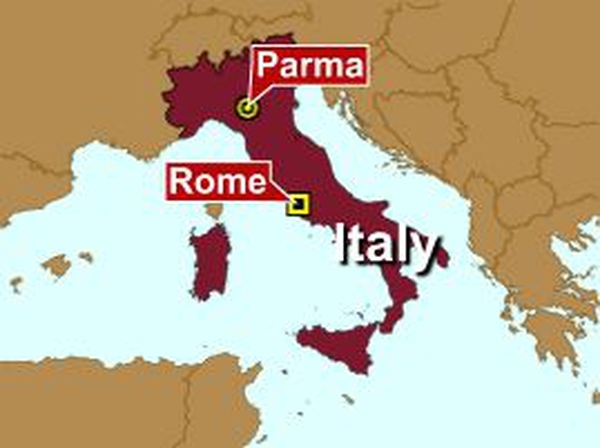 The quake came just hours after a 4.6-magnitude tremor shook Italy's north-central region with no reports of damage.